A New Island Princess is Born in Fiji! 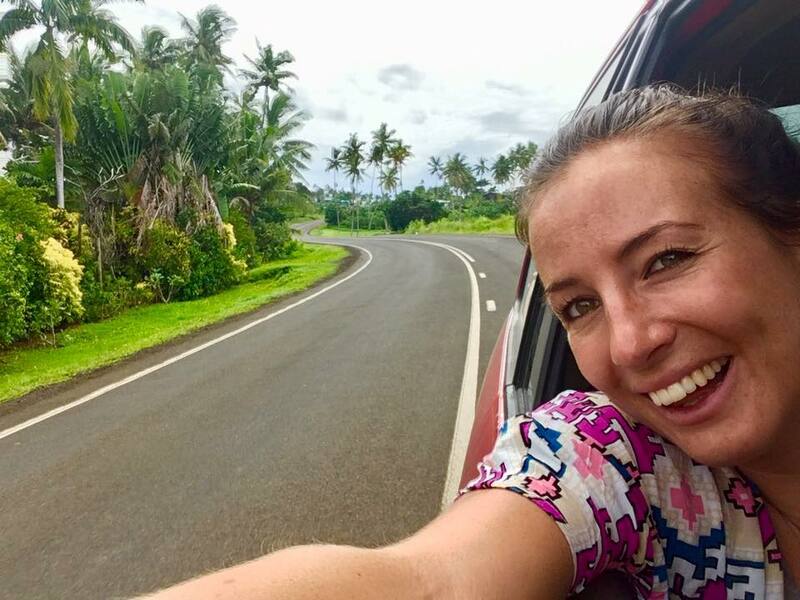 “For my first official Island Spirit meeting in beautiful Fiji, Kirsty and I embarked on a 24-hour journey together to head to Fiji’s Garden Island, Taveuni with two friends. 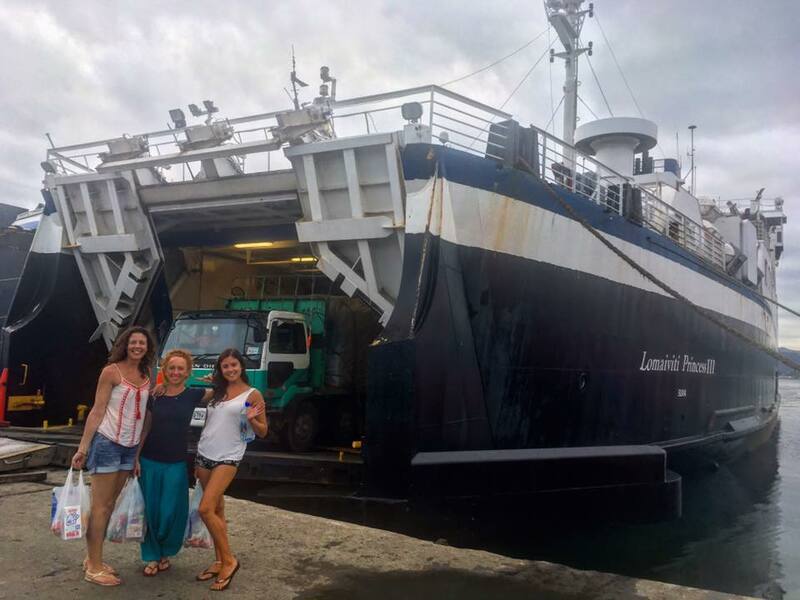 With a hire car packed with four girls, snacks, sweets, and tents, we boarded the Lomaviti Princess Ferry at Suva – Fiji’s capital and the main port to the South Pacific. 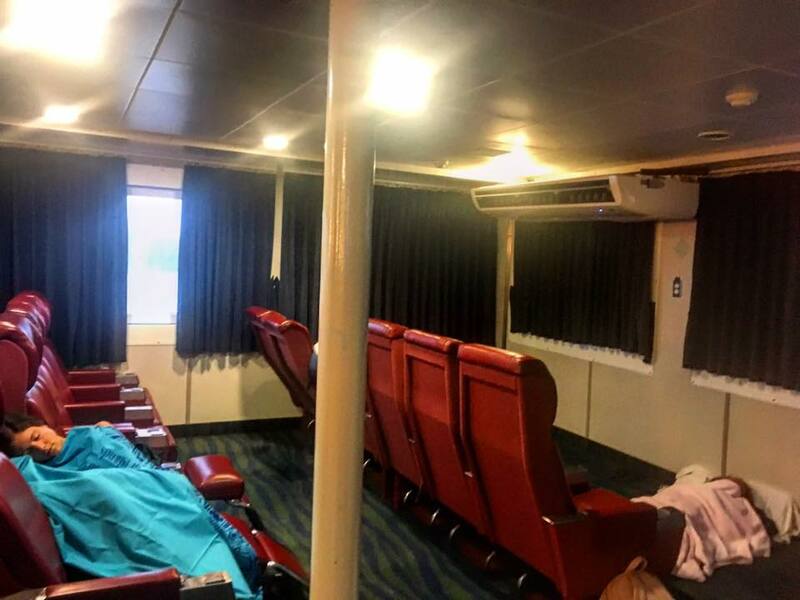 All aboard the Lomaviti Princess! Catching the Fery to Taveuni from Suva, Fiji. 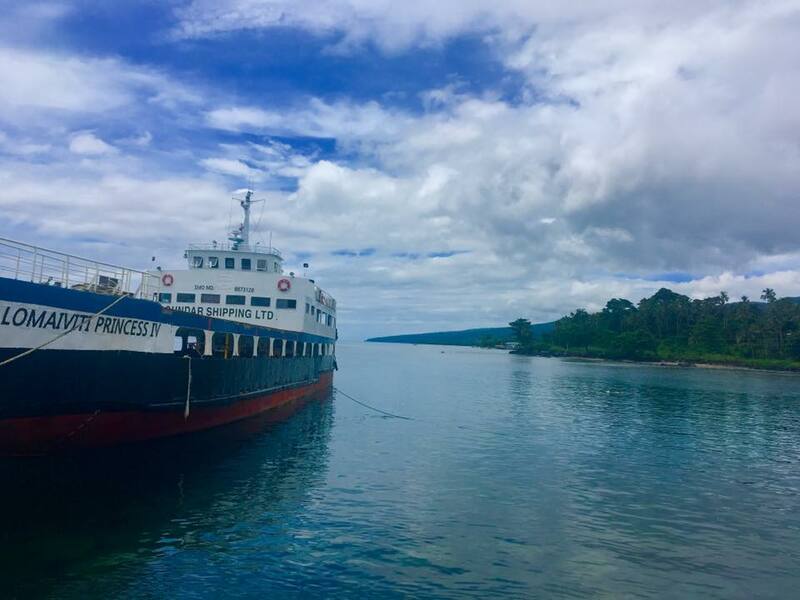 The Lomaviti Princess – The 20 hour Ferry journey to Taveuni island. First class sleeping quarters ..Ain’t no rest for the wicked! 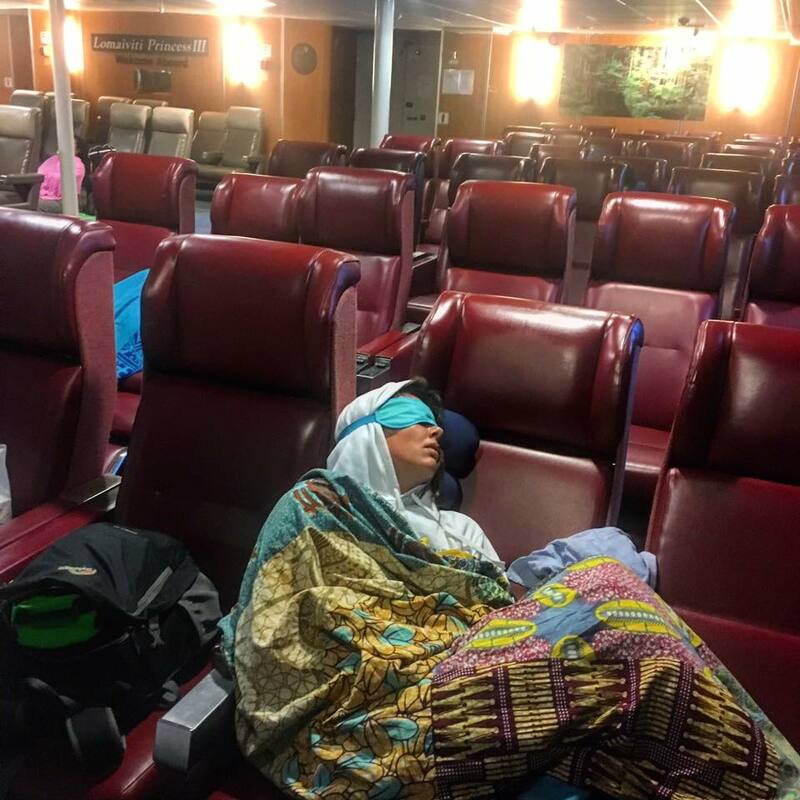 Sleeping beauty on board the overnight ferry to Taveuni. The overnight boat journey took us 2 hours! Departing at 7pm, with a 2 hour wait in SavuSavu, we finally arrived early afternoon the following day. 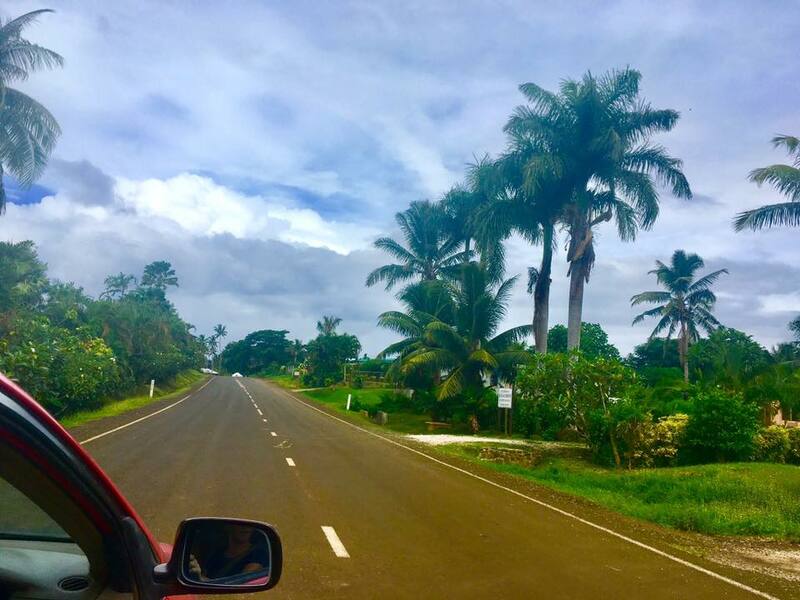 Driving off the Lomaviti Princess was like arriving into a scene from Jurassic Park; untouched tropical countryside reminiscent of prehistoric jungle, lush green vegetation, and fields of palm trees and monstrous ferns (however no dinosaurs in sight!) 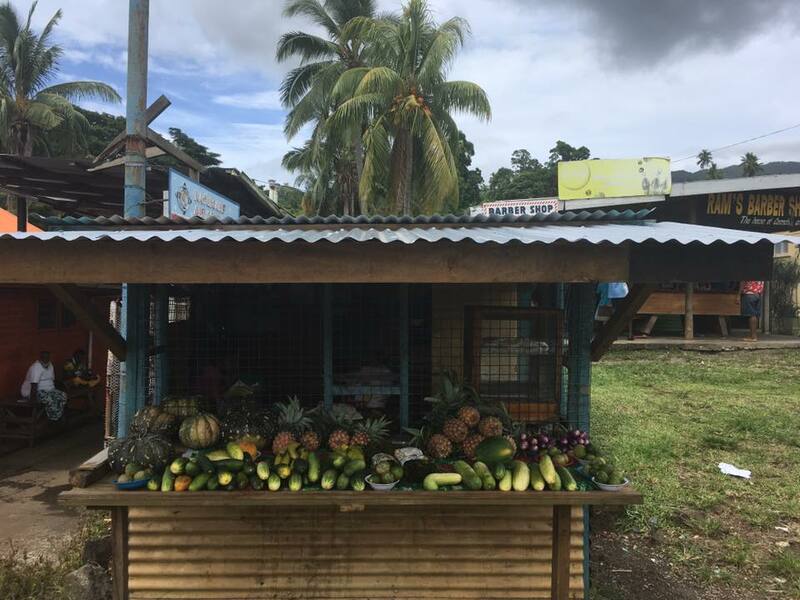 The scenic drive along Taveuni’s rugged Western coastline, known as the SomoSomo strait, then took us 30 minutes by car via a few pit stops to buy fresh fruit from roadside sellers. The road to nowhere! Untouched paradise surrounds the quiet road to Lavena. Road trip selfie! 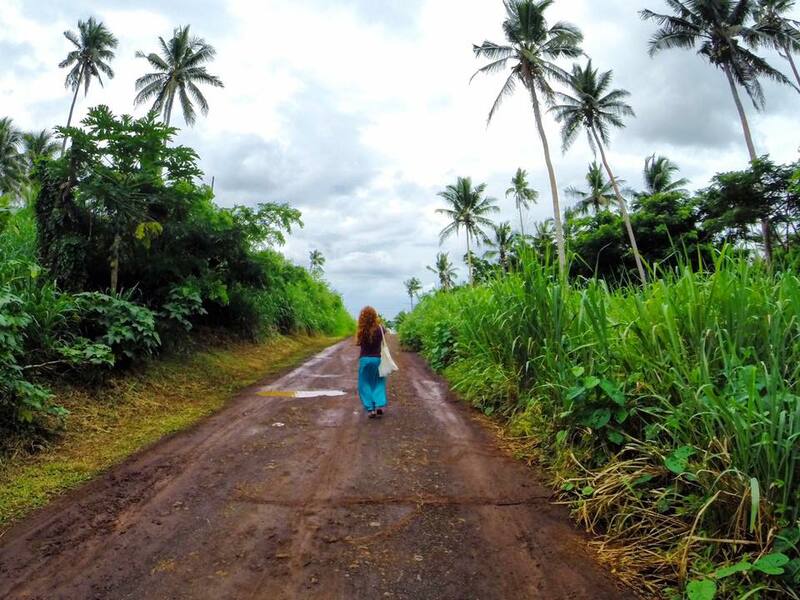 Laura taking in the lush green surroundings of Taveuni, Fjij. 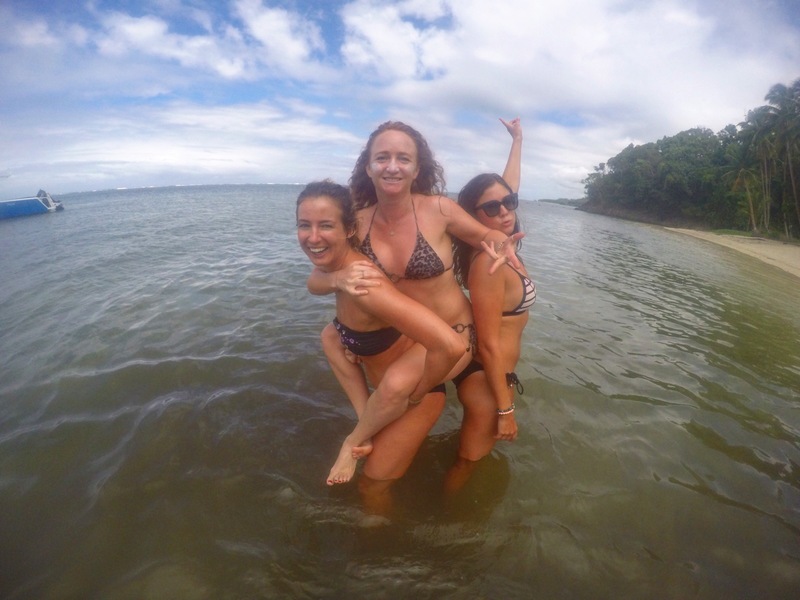 Our final destination was Maravu Taveuni Lodge, a locally run backpackers Island Spirit has great connections with. Here we spent the rest of the afternoon relaxing by the tropical pool with a well deserved Gin & Tonic. Dinner that evening was beautifully cooked by the Maravu chefs, we had a shared combo of Fijian rourou and fish curry followed by a classic game of UNO. A hidden green paradise – Maravu backpackers lodge. Well rested and prepared for the day ahead, little did we know that the weather overnight would drastically change our Monday meeting plans. 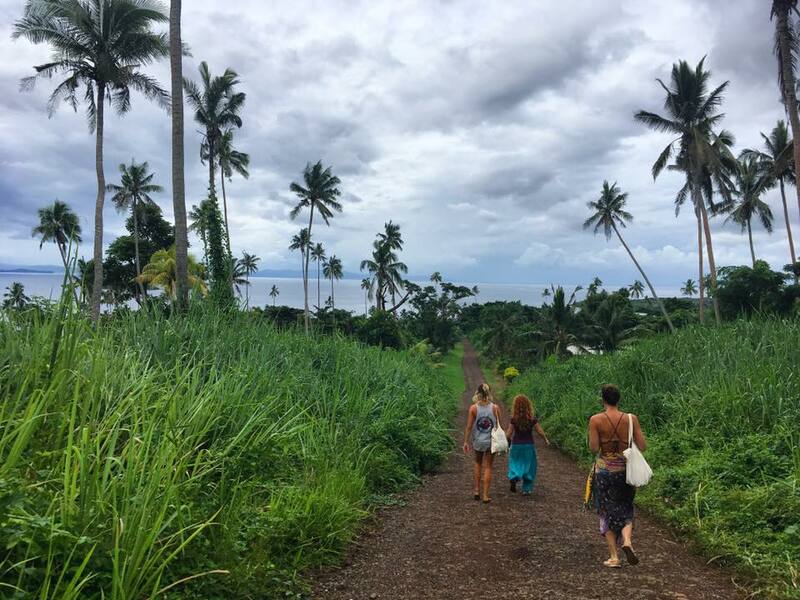 Our original itinerary consisted of an afternoon headband-making training session with our lovely Fijian ladies from Lavena village. With initial plans to set off early by 4×4 transport, I soon learnt that not everything goes to plan here in Fiji, and the non-stop torrential rains overnight and all day Monday had made the Eastern road to Lavena too dangerous to drive through. 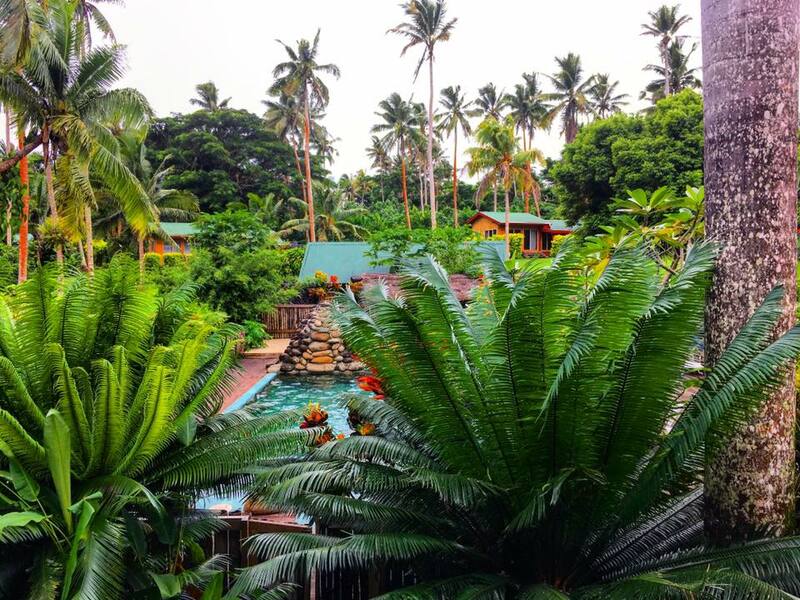 (Now I understand why locals nickname Taveuni the green ‘Garden Island’!) Unfortunately river levels had risen just under one metre, so our work had to be temporarily postponed until our next trip in July. 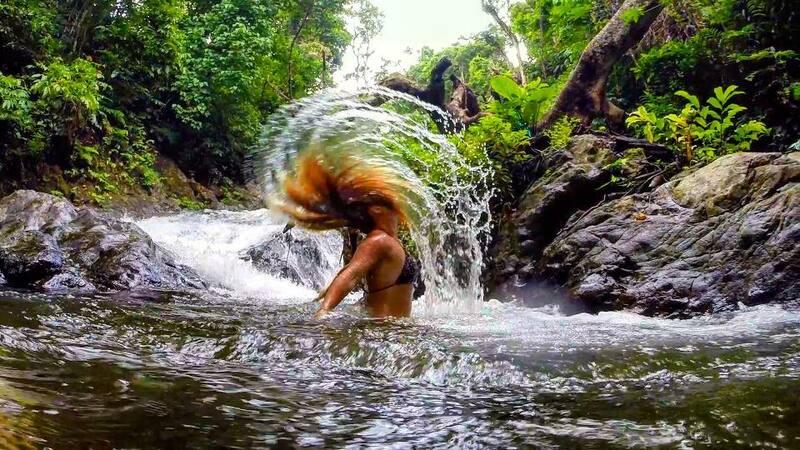 On the bright side I got to explore some of Taveuni’s tropical waterfalls and natural waterslides, and visit Taveuni Ocean Sports for a brilliant morning snorkelling around one of the best coral reefs in the world – the Rainbow Reef on the SomoSomo straight. 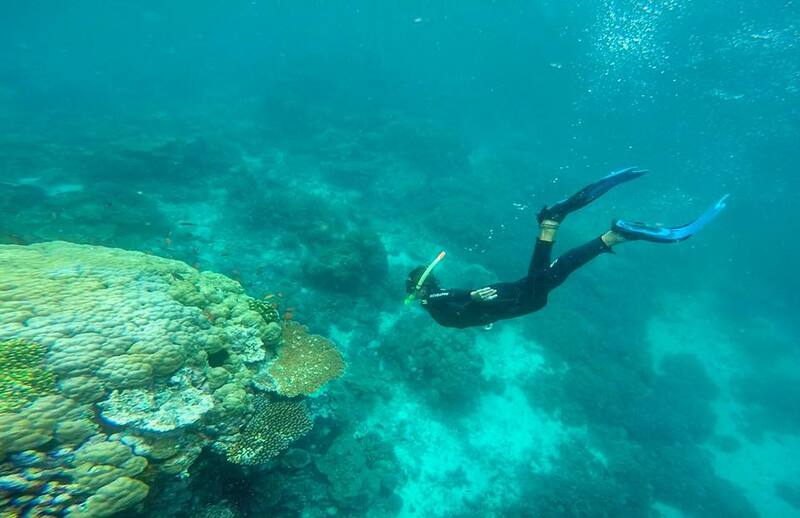 Island Spirit guests will also get to explore this coral reef. 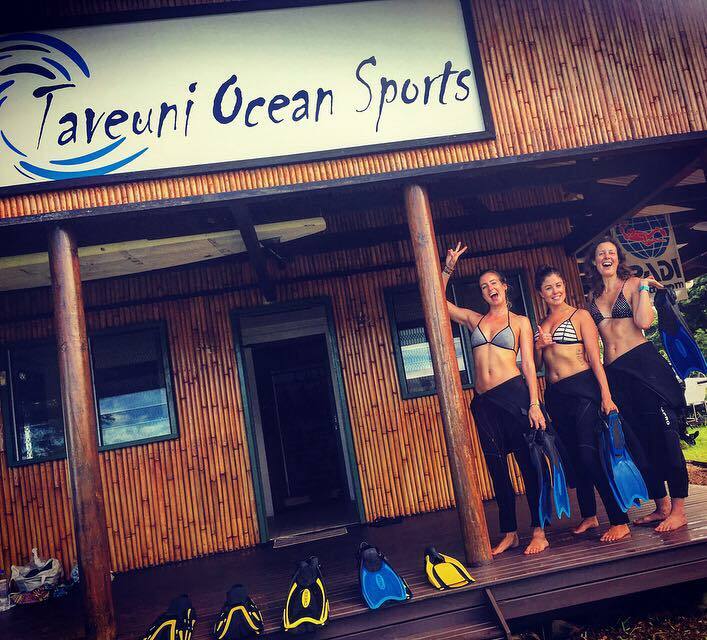 Click here for our upcoming eco adventures to Taveuni. Strolling across the old international dateline .. time travel at its best! 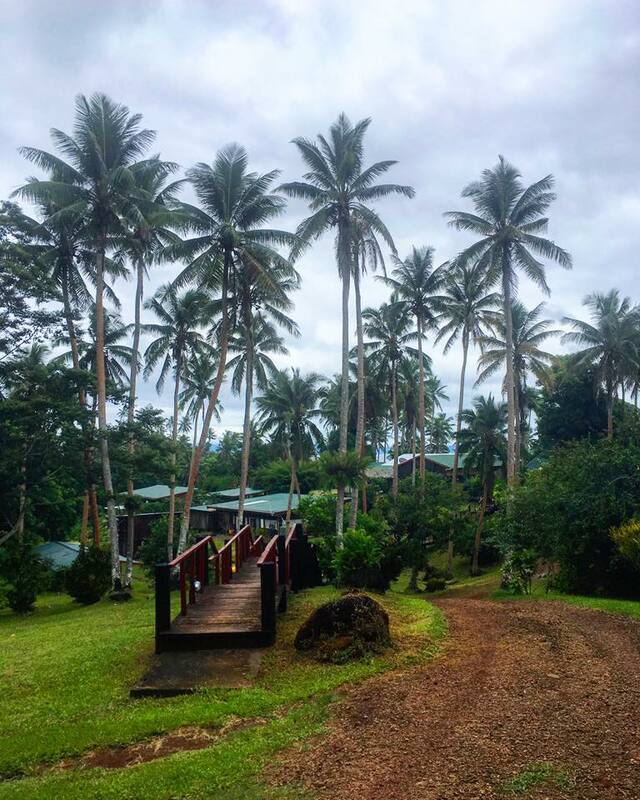 Taveuni’s lush green fauna and flora. 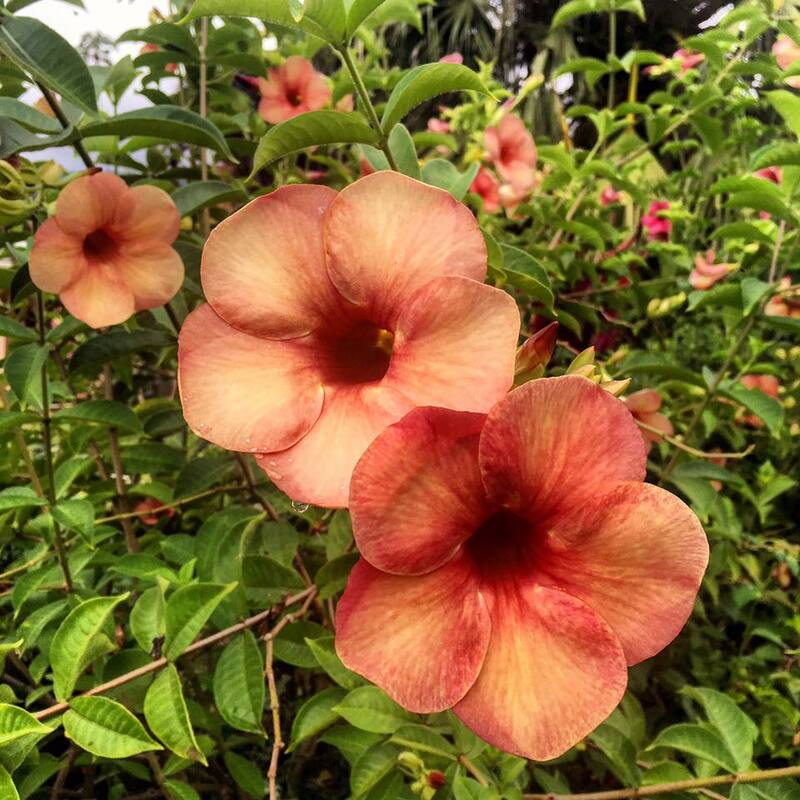 Fiji flowers. 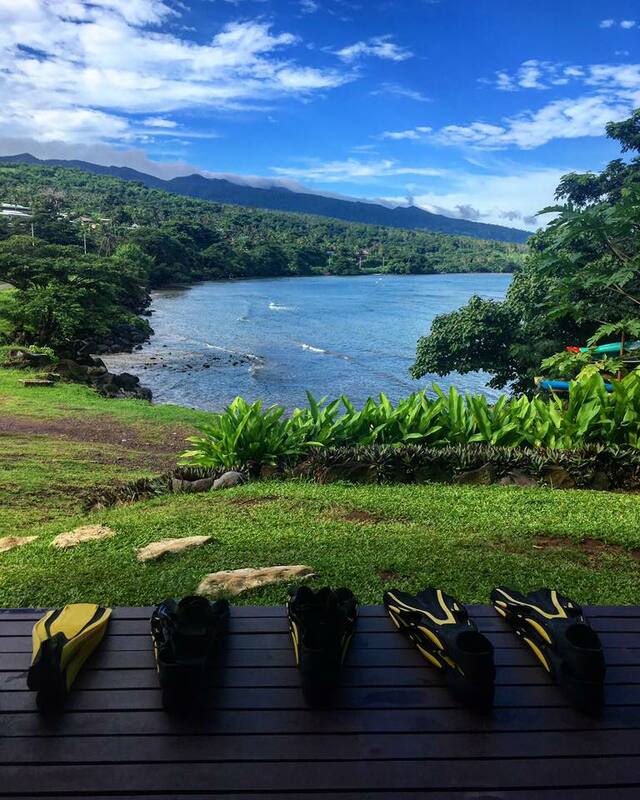 Morning views outside Taveuni Ocean Sports pre-snorkel. Girls on tour! Ready to rock and snorkel Taveuni’s Rainbow Reef. Kirsty also had a very productive and positive morning, meeting with a representative from the World Fair Trade Organisation to complete and audit Island Spirit’s Fair Trade work. All in all we still got to enjoy the wonderful island of Taveuni in all it’s tropical glory. 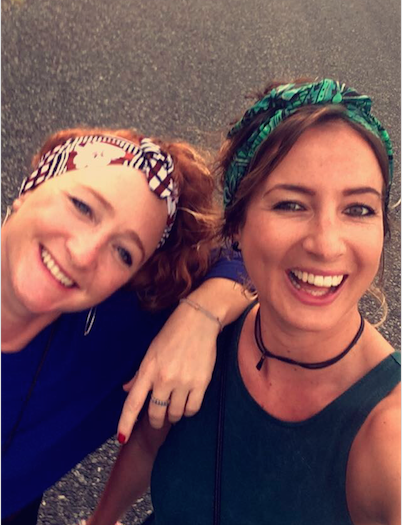 Island Spirit ladies, Kirsty and Laura, wearing the Fijian handmade Fair Trade headbands. FYI – If you are interested in purchasing some of these Fijian handicrafts please visit our online shop here.